For kids, learning to code is an exciting and creative activity. But it’s more than that – it’s becoming an essential part of their education journey. 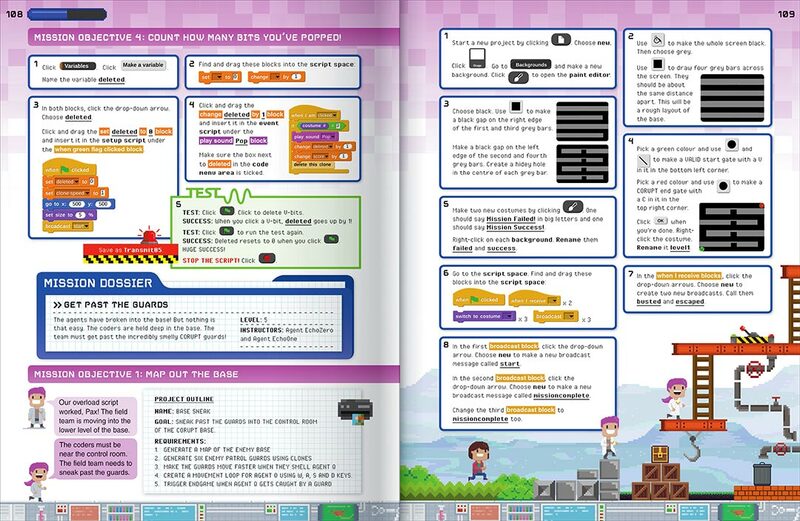 The Coding Book strikes the right balance between education and entertainment in a bright and vibrant layout, using Snap! – a free, online program that runs on all devices. 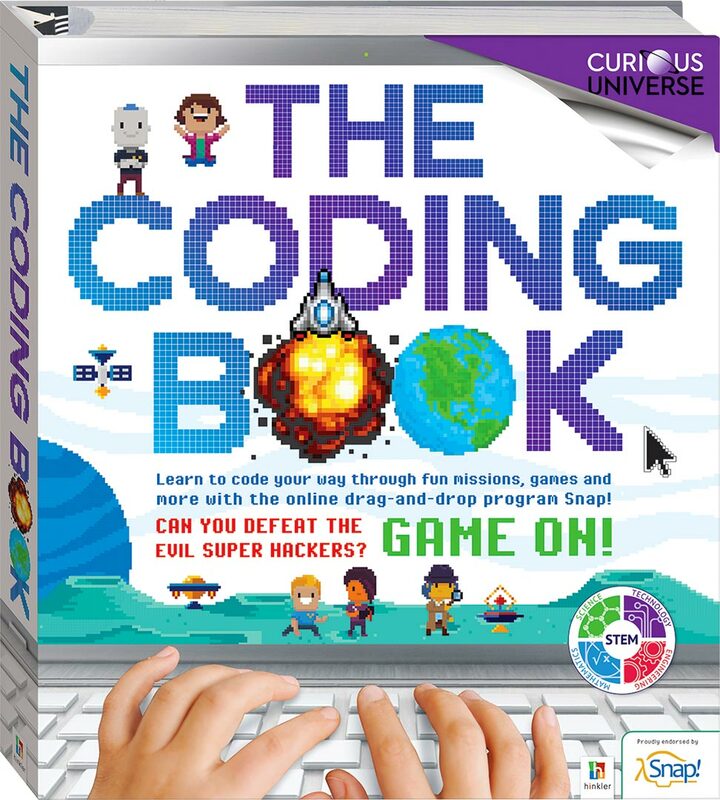 Presented as an action-packed adventure filled with 19 exciting “missions”, this title is designed to help build programming skills, teach coding concepts and develop essential coding habits. Perfect for those new to coding or those with some basic coding experience, kids can work at their own pace as they help Pax and the VALID team code their way through a series of exciting missions, creating their own programs and fun, playable games. 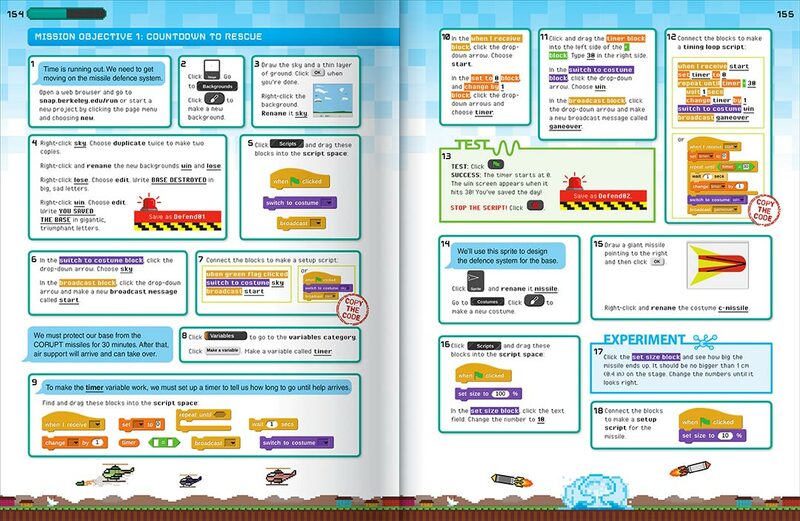 Each mission features helpful screenshots and illustrations, clearly demonstrating each step to help establish and reinforce good coding practices that professional coders use every day. 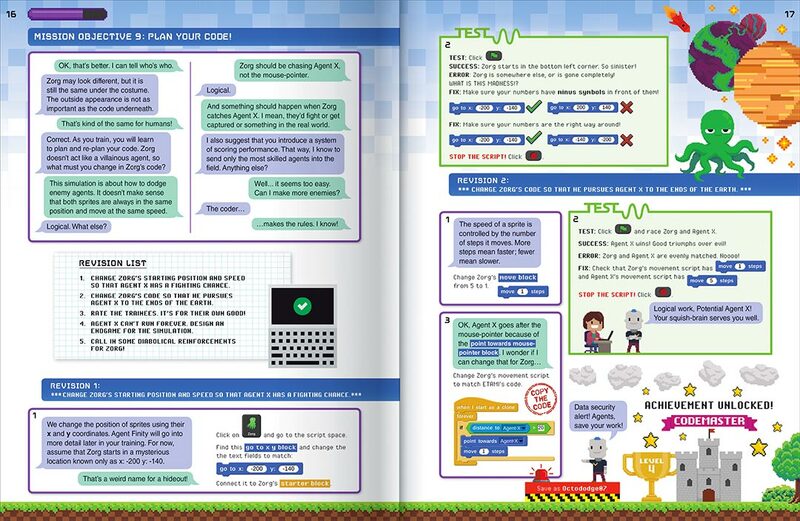 With over 192-pages of content in a handy lay-flat binder format, The Coding Book will help your child foster creativity, strategic thinking and problem-solving skills, as well as a passion for the digital world of coding.